Sunset Boulevard. 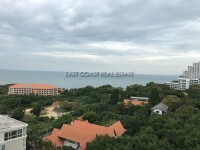 This condo has been redecorated with expensive furniture and boasts 2 spacious balconies with sea view. The condo has also been fitted with a washing machine, all modern kitchen appliances and is being sold or rented fully furnished. Sunset Boulevard is a beautiful private development. This high quality condominium offers an idyllic combination of comfort and facilities together with stunning views and a convenient location, making this a truly irresistible condominium. The development offers a range of facilities including rooftop swimming pools, reflection pools, electronic card entry and 24 hour security. The unit is sold fully furnished with 2 LCD TVs and home cinema system. Fully fitted kitchen, bathroom and high quality furniture throughout. Pratumnak is a sought after area, where privacy and relaxation go hand in hand. This is a must see condominium and delivers the highest quality expected from superb architectural design and building development.